You may not have heard of Bellingcat, and at first glance, it may seem like some sort of mysterious cyber creation. But from its humble beginnings as just another internet blog, Bellingcat has grown into a revolutionary collective of "citizen investigative journalists" from around the world who are dedicated to transforming the world of reporting in this era of "fake news." Using advanced digital research techniques, these talented and devoted truth-seekers are exposing seemingly impenetrable news stories such as the MH1 airline disaster, the poisoning of a Russian spy in the UK, and hidden crimes of the Syrian regime. This fascinating and exciting documentary will give you insight and hope for the world of journalism, which is being challenged every day. Prolific Oscar®-winning filmmaker Chuck Workman composes a love letter to documentary film. 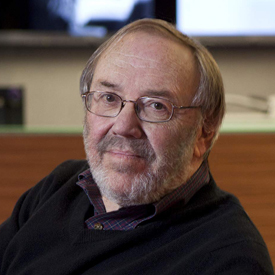 Chuck Workman's films have appeared in numerous festivals and won many awards. His film Precious Images won an Academy Award® for Best Short. Other shorts include Words, Pieces of Silver, The Spirit of America, and That Good Night. His documentaries include Andy Warhol: Superstar, The Source, Magician, and the recent essay film What Is Cinema. He also directed the narrative films The Money and A House on a Hill. Workman is currently the head of the documentary division at Chapman University.